Black Friday Archives | Happy Deal - Happy Day! I know many of you will be gearing up to find the most amazing deals you have all year on the upcoming Black Friday sales. (In fact, you can find all of the current Black Friday ad scans OVER HERE!) 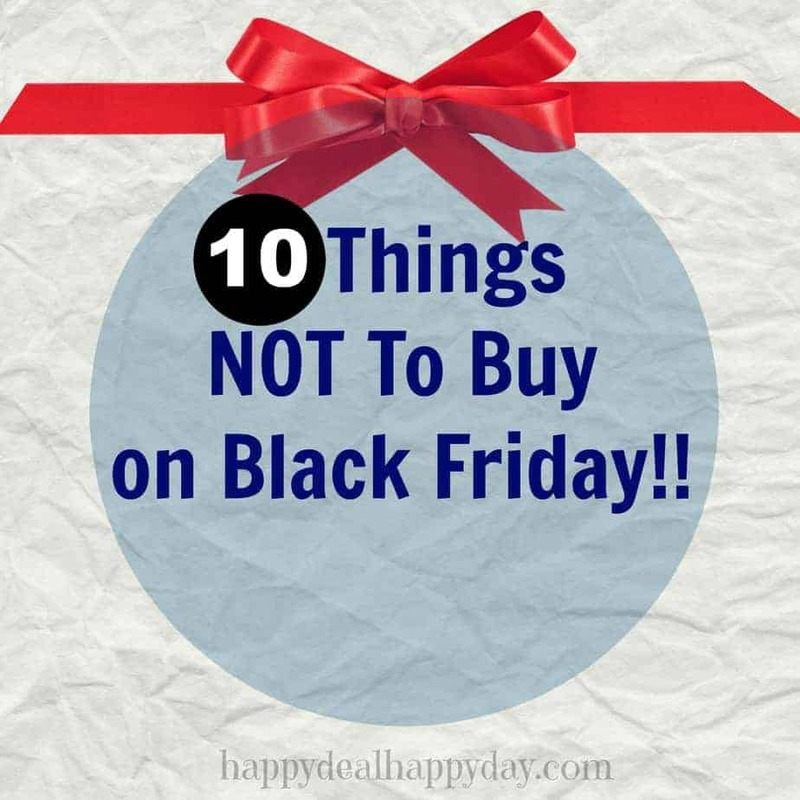 BUT, if you are a hard-core black Friday shopper, you may want to be aware of the items that won’t be hot deals to add to your wish list. 3. **Holiday Decorations – always get these after the holidays when they are on clearance! 8. **Gift Cards – wait for December for gift card deals – when they “practically rain from the sky”!!! 10. **Winter Gear – wait until later in the season when stores what to start adding Spring items to their floors and they discount winter clothing prices. 11. 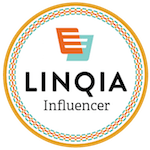 **Jewelry – Sales get better in December and then again in February. Although December sales are typically better than Febrauary sales, so you may want to shop for Valentine’s Day in December. You can read all of the details why these are no-no’s over here. As for me and Black Friday – I will be home, cuddled in my jammies, avoiding the crowds like the plague, and searching online for great deals. The idea of waking up at the crack of dawn, to wait in the cold, for a good deal that I’m used to getting all year round – is NOT my idea of a good time. 😉 Those of you who are with me, come and join my HOT Online Deals Facebook group where I’ll be sharing what I find! 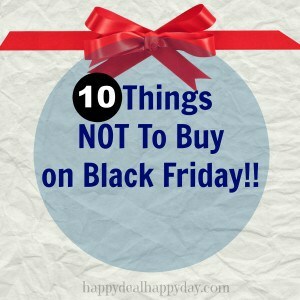 But for those of you who can’t wait – I wish you luck on your deal shopping journey!!! Find more Frugal Tips here! Find all of the current BLACK FRIDAY STORE DEALS OVER HERE!